Sometimes I cannot believe that I am a mother. It feels like just the other day I was single, busy with my university assignments and presentations. I was also working as a mentor and alhamdulillah actively involved in the student societies. After graduation I worked as a full time teacher at a private school. My day used to start at 6:30 and end at 11:30 or 12 at night. Even the weekends were packed with preparing lesson plans and marking endless homework and exam papers :-( but I enjoyed it a lot alhamdulillah. It gave me satisfaction. I always loved teaching . It is like a passion to me. Watching my cute little students enjoying my lessons made me feel very happy with my life. Teaching is a stressful job but it also can be quite rewarding when you see the positive changes you can make through teaching. When I got married I moved to another borough so it was too much for me to commute from my place to work. However, my priorities have changed as well. I was eagerly waiting to be a mother soon. Alhamdulillah Allah swt blessed me with a quick conception. My son was born just 3 months after our first anniversary. From that day onward my life changed forever and I hope its for good insha-Allah. I was so glad to hold my baby boy for the first time. I couldn't believe that he came from me! Subhanallah! The joy of motherhood cannot be described in words. It's just an amazing feeling. Then again just after one and half year, I was blessed with a baby girl, alhamdulillah. Once again the feeling was amazing. Our children are growing very quickly. I try to capture the sweet memories we are creating through photos and videos but still it seems not enough. Even looking at their baby photos, I feel I could have hold them more or kiss them more ! I feel so happy and satisfied when I see my two children playing with each other. They love and adore each other mashallah. Being close in age, I thought they will be quite jealous of each other. But alhamdulillah at least up until now, they have proved me wrong. I hope and pray that Allah swt keeps them close to each other especially when we will be gone. This world is going to get worse and I am very concerned about my children's future. I hope they will be good Muslims. I want them to be leaders of the Ummah insha-Allah. Being a mother myself, now I can understand how parents feel . It is not an easy job. It requires quite a lot of dedication and sacrifice. Mothers are the first school for their children. Once again, I have the oppurtunity to become a teacher :-) but sometimes I doubt about my abilities as a mother as well as a teacher ; whether I will be able to bring up my children as good Muslims. I have learnt from my own experience that it is very easy to criticize other's parenting technique but as a parent I can understand how hard this job can be! I hope to prepare myself to be a good mother insha-Allah. I hope to do more research on what values a good mother should have and how she should bring up the children insha-Allah. May Allah swt make it easy for us and help us to be better mothers insha-Allah! What a beautiful post sister. I am a step mum of 2 teenagers masha'Allah. They're are both lovely, but it is hard work, and now I believe the hardest job in the world is being a good parent, one that is kind, understanding and teaches the leaders of the future right from wrong. May Allah bless you and your family, and give you guidance and strength. Jazakallah khairan sis! It is indeed a very difficult job but at the same time quite rewarding alhamdulillah. May Allah swt make us good parents and bless us with good children, ameen. it is a hard job sister and as they age it gets harder but in a different way. it is all partofthe cycle of life sister...........I now think.......I am closer to becoming a grandma subhanAllah. Time never stands still life goes on and Allah has a plan for us all. Makethe most of those precious days when the children are young................as them moments of laughter, first steps, first smile , first words dont return. Being a mum is the best job in the world and the most blessed subhanAllah. May Alla make you a fab mum as I am sure you are already ameen. Jazakallah khairan sis for your so kind comments. May Allah swt bless you and your lovely family with lots of happiness, ameen. Mashallah, what a beautiful post. 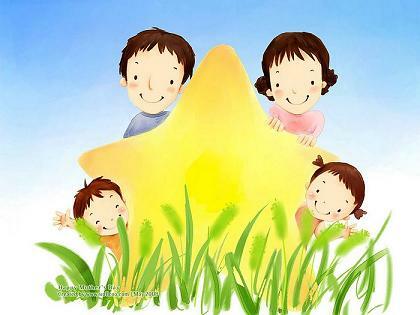 I am not a sister, but I do not know, recently I have grown deep affection and yearning for kids. Does it suddenly happen in all young people? I am not even married yet. I like to hold and pat small kids, but I never do so, because society may think me as pedo or sometimes their parent just do not like it. So it means I will have to wait till I get married. And please pray so that Allah bless me with a daughter.